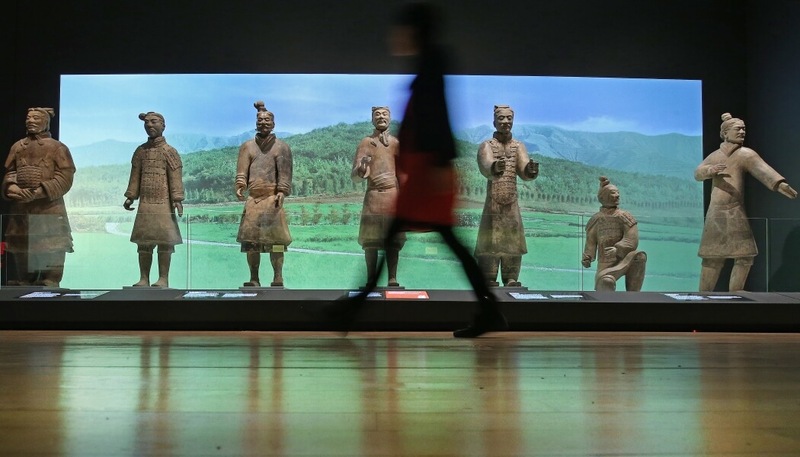 The exhibition will take visitors on a journey through China’s history and Emperor Qin Shi Huang’s burial site where 2,000 figures have been uncovered with an estimated 8,000 figures in total. The World Museum has employed immersive technologists, Draw & Code to create a dramatic 13m geometric wall that mixes video, animation, graphics and augmented reality to tell the history of China from modern day to ancient times when Qin Shi Huang (259 BC – 210) unified warring factions to become China’s first emperor. Having travelled 5,000 miles to be in the city, it is the warriors’ first visit to Britain since a 2007-2008 exhibition in the British Museum, which saw 850,000 visitors, making it the second most-visited exhibition in the museum’s history after a Tutankhamun in 1972. It is expected that the exhibition will attract 450,000 visitors from now until October with more than 140,000 advance tickets being sold. 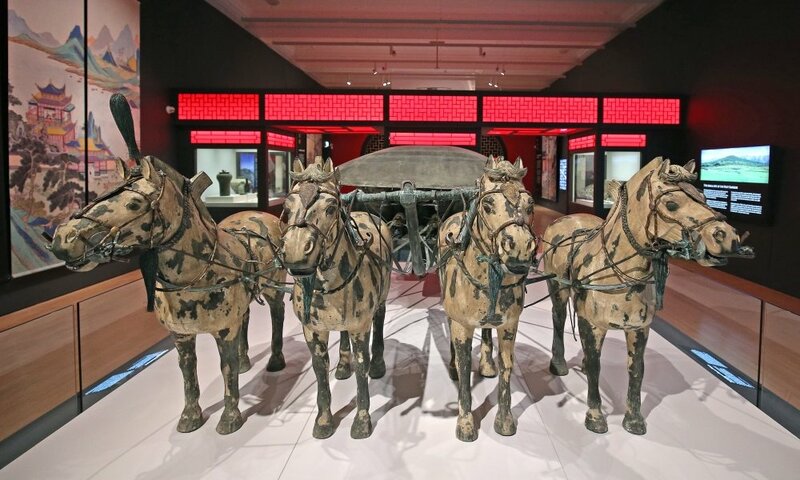 The exhibition is organised by National Museums Liverpool and the Shaanxi Provincial Cultural Relics Bureau and Shaanxi History Museum (Shaanxi Cultural Heritage Promotion Centre), People’s Republic of China. The exhibition will be accompanied by a programme of activities for schools and a public events programme throughout the duration of its run. 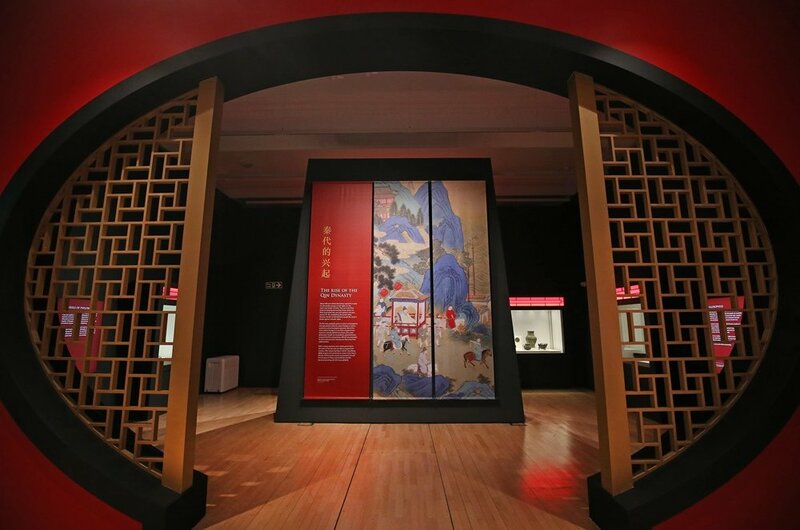 It coincides with Liverpool’s China Dream season; an eight month-long season of exhibitions, performances and events which aim to shine a light on modern Chinese culture and explore the relationship between China and the UK. China’s First Emperor and the Terracotta Warriors runs until 28 October and tickets can be booked here.